I went to visit you this morning and when I arrived, I felt something I haven’t felt since you were alive. Death isn’t gender specific. I don’t think I would grieve the loss of a daughter differently than the loss of a son. I call you “my son”, I know you were my only boy, but it isn’t often that I remember that feeling of having a son. And so, when I walked up to your grave to place a kiss on the soil, the way I always do, I was more than surprised to feel that your grave looked like a little boy’s grave. I remembered what it felt like to have a son. Oh, what a feeling that I didn’t even know I missed. 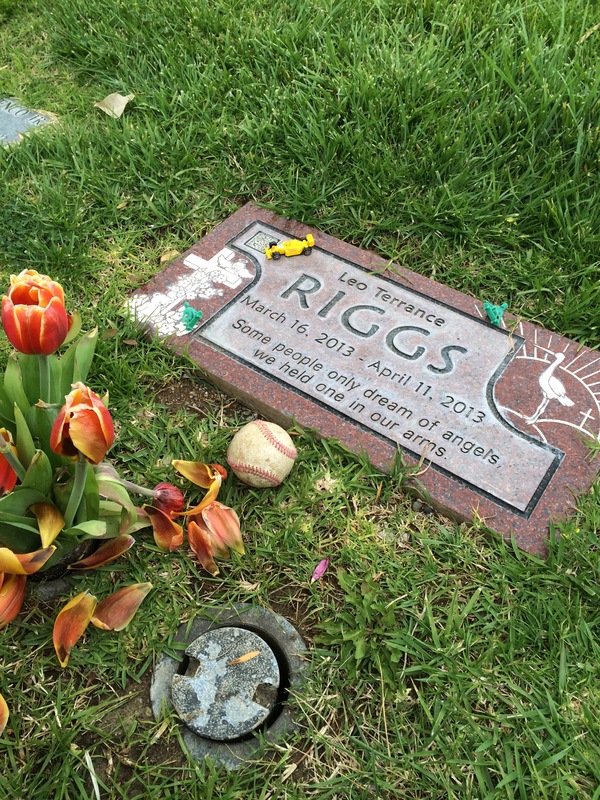 Your grave was decorated with some strangely beautiful wilted rusty orange tulips, two skateboarding figurines, a toy race car, and someone left you a well-loved baseball. The kind of baseball that little boys have the most fun with. You could tell that it had been thrown, rolled, tossed in the mud, and hit with a bat. I wondered if maybe it was a home run ball, a perfectly pitched game ball, or just an extra that was rolling around a minivan somewhere. We were so excited when we found out we were having a boy. We had two gorgeous girls and we were adding our little blond boy to the family. Losing you meant losing out on having a son. But if given the choice to do it all over again and this time to know you would die before I barely knew I was pregnant, would I keep you? Would I do it all over again? Would I choose you? Yes, I’d still choose you. I’ll always choose you. The world cries out that it wouldn’t make sense. Why carry a baby for 9 months to only have 26 days? Truth is, it only took me one single moment to love you for a lifetime. And your life only took 26 days to change the world.